Box braids and Senegalese twists are an interesting point of discussion in the beauty world of today. You don’t even necessarily have to like the hairstyles to appreciate just how much work goes into them. The style rose to popularity in the ’90s in celebrity culture, and is now making a throwback comeback in everyday life. It has been greeted with some criticism, however, in that it is seen as a style aspect related to black culture, so when anyone of another culture tries out the style, they are called out on charge of cultural appropriation. However, in light of keeping this positive and informative, I’ll cut the cultural concerns and just show you everything you need to know about box braids and Senegalese twists. One of the most well known traits of box braids is their low maintenance upkeep. This is one of the most enticing aspects about the style; the idea of not having to wash or brush my hair every day does seem like an unparalleled perk! But, of course, to have such an easygoing hairstyle, it’s going to take a lot of intricate work. So the most important thing to note if you’re considering box braids is to be patient; the process could take upwards of several hours. Depending on the state of your natural hair, the look could require hair piece extensions. But, by all means, if you have a large enough mass of natural hair atop your head, there will be no problems. The addition of extensions will clearly make the price go up, so that is one thing to keep in mind. Price will also be affected by where you are when you have them done, in increments of hundreds of dollars, even. So once you have the money sorted out, the issue of time would be the leading factor of concern, to the tune of upwards of eight hours ” who would have thought a hairstyle could have so much in common with getting a tattoo? But, as long as you’re mentally prepared to sit through the process (maybe it’s time to pick up that book you’ve been wanting to read, or load up your favorite film on your tablet?) 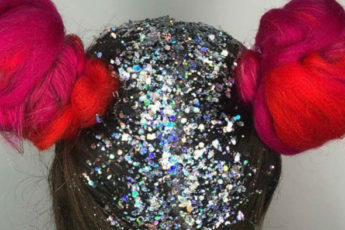 then you’ll be all set for one of today’s hottest hair crazes. It is recommended for first-timers to go for large box braids in order to see whether they can tolerate and later on maintain them well. Nothing could be more frustrating than sitting hours on end for a trendy hairstyle your head is too tender to withstand. But of course, in the event you successfully have this hairstyle, the work needed to maintain it is low-maintenance, yet there is still much to keep in mind. When choosing what style of box braids you inevitably want to go with, there are a few important factors to keep in mind. If your hair is on the thinner side, you’ll want to make sure to keep the box braids small and tight enough, so as not to add pressure from excessive weight. Conversely, if you have thick hair, going for too tight of a look will result in too many braids, making it impossible to add any style, and adding in too much weight ” plus, you’ll have a far more difficult time of attaining a flawlessly gorgeous style. This step alone takes a bit of predetermination, so this is a look you can’t up and decide to try out at the last minute; it will take some prep time. Once you do decide this look is for you, you’ll need to make sure your head and hair are primed and ready for the weeks and months ahead. You might as well go all-out on your last all-inclusive styling process on your natural hair anyway, but experts suggest going into the salon with your hair already shampooed, conditioned, and blow-dried. This will give your hair the best chance at being dirt-free, so you can enjoy your braids to the fullest extent. Now, as far as the actual process of getting your box braids, let’s start by putting a common fallacy on the subject. The process shouldn’t actually hurt, much as one who has never been through it might expect. If it’s your first time, or if you are rather sensitive, you might experience some pain, and overall you will likely find discomfort in the process, but pain is a signifier that your braids are actually too tight; so you will know to speak up, before you’re at home and it’s too late ” and not to frighten those faint of heart, but pain is also a signifier that hair loss will shortly follow. But! Such worries will quickly fade away once all of your waiting draws to an end. Your head will be much heavier than it was before the process, naturally, so it might take a bit of time getting used to the new feeling of your hair swinging behind you, or the new sense of empowerment that comes from a hair flip. It will take time to get accustomed to your hair, but not too much! When having box braids, it’s advised to use a silk pillowcase when you sleep. Also keep in mind that using many styling products on your hair will build up, so keep use to a minimum ” same goes for shampoo ” because you don’t want to deal with frustrating flyaways. However, using a daily moisturizer or oil applied on the whole length of the box braids and the scalp will ensure your natural hair stays hydrated, and will help prevent against breakage when you go to take down your ‘do. As far as shampooing goes, a conditioner should be applied only after three weeks; followed by another application of your moisturizer/oil. Make sure you dry your hair completely after showering, because in other case it can mildew and cause an unpleasant odor to your box braids. After that, you’ll want to wash your hairdo every two weeks, either by jumping in the shower and rinsing it out or simply by using shampoo on a damp cloth, and parting your hair to rub it on your scalp. It may all seem tedious, but once you have this procedure figured out, you’ll have the hang of it in no time. One of the other incentives to having box braids is the uniformity your hair will hold. A constant struggle of natural hair is when half of it wants to do one thing and the other half wants to do another. When you let box braids or Senegalese twists do their part, a large part of that worry just melts away. You are given a uniform texture, minimal need for any type of product, protection against unforgiving weather conditions, and a truly stunning hairstyle to boot. That much cannot be said for many hairstyles out there. Many know, or can at least gather, that the removal process of box braids is very tedious. If you’re looking to keep the style for an extended period of time, you need to have your hair rebraided every few weeks or months. Experts suggest not keeping in the braids for more than two months at one time. You’ll be held accountable for taking care of this, otherwise you’re sure to have a hot mess on your hands. But once you do decide to take a break from the braids, make sure to start at the bottom, unbraiding the braids with the help of a comb in order to easily take out the hair pieces you have added to your real hair. Be as careful as possible, but also realize that no matter how much caution you display, you’re bound to have hair falling out; it’s gone untouched for so long, so knots will be plentiful. Try to take care of the knots as you come across them, with patience, but don’t panic if you still find strands falling. Senegalese twists or rope twists belong to the same category of Afro hairstyles as the box braids, which can boost hair growth, protecting your hair from the possible damage you usually cause because of heat styling. To get Senegalese twists, you need to incorporate hair pieces into your natural hair by two-strand twisting them starting from the roots and going all the way until the ends of the hair shaft. There are, however, some does and don’ts in terms of styling, as well as maintaining Senegalese twists that you need to know if you want to have really healthy hair when deciding to take the twists down. Unlike box braids, Senegalese twists will seem much simpler in comparison in terms of styling. The prep process is the same, of deciding whether or not to use extensions followed by a shampoo and deep condition process. The conception process is where things begin to differ, for the easier. It is simple enough that you can do it yourself, or have a friend or family member do it for you, rather than going into a salon (but certainly you could do that, too). The general process is as follows, so you can see just how simple it is. Before getting the Senegalese twists, you need to decide on the type of hair extensions you are going to use, particularly natural hair extensions, Kanekalon, which is quite realistic looking silky hair for braiding, ideal for medium or larger braids, or Toyokalon, which is yaki hair perfect for smaller-sized Senegalese twists. Experts advise to go for synthetic hair instead of natural hair pieces, since the former helps keep the Senegalese twists in a perfect state for a longer period of time while still providing the same good texture. Once you acquire the hair pieces if you want to use any, it’s time to learn how to style Senegalese twists. Divide your hair, beginning by pulling a small strand from the front, wide enough to your liking ” but not too wide ” and run a comb through it to remove all tangles. Divide the strand in symmetrical half, and twist each half to the right using your fingers, until you see them begin to coil on itself. Then you will continue coiling by taking the sections (one in each hand) and coil them to the right by overlapping them. You will continue on with this process for the rest of your hair. Once you’re done, sealing the ends is as easy as bringing a bowl of water to a boil and dipping the ends of your new Senegalese braids in. You can find a more detailed instruction set or video in many places online, but if you don’t quite trust yourself with a successful hairstyle, have a skilled friend or hairdresser do it for you! But that is the easy part. Upkeep is the most crucial aspect in this style; as long as you put in the time and effort to take care of your braids, you will find they will last for months ” yet you should not keep them in for more than two to four weeks, so as to keep your natural hair as healthy as possible). It is ill advised to wash your hair more than once a week, so you can wash more frequently than with box braids. When you get around the shampooing, you should consider diluting the shampoo with equal parts water, as this will help to prevent any unraveling. Light oils (coconut, olive, or peppermint, for instance) are very beneficial to keep your scalp healthy and your hair moisturized; but be sure to use hot oil, to keep your braids looking stunning. As with the box braids, a silk pillowcase will do wonders to the care, but you could also combat nighttime dryness by wrapping your hair in a scarf before bed. As such, keeping your hair tied back to some extent will keep your hair looking fresh and in-place as well. When going to take out the twists, you’ll want to be sure to set aside a few hours. The time will give you a time to watch a couple of movies, or to spend time with friends ” maybe find a friend or two to twist your hair together, so the removal process can be made into a fun time. If you spray your hair and scalp with a blend of water, conditioner, and oil, your twists will be softened, and therefore much easier to remove. Be sure to detangle each strand with your fingers as you remove the twists, and look out for excessive hair loss ” remember, as with the box braids, more-than-usual hair shedding is quite normal. After all of the twists are removed and detangled, you can shampoo and condition as you would before the twists, before blow-drying. If you’re looking to install another round of Senegalese twists, or box braids, you’ll want to wait at least a week, so as to not damage your hair beyond repair. The Senegalese twists allow for a lot more freedom during all times of procedures than box braids, so it may prove to be preferential to spending hours in a salon, depending on your personal schedule and leisure time preferences. But no matter which style you prefer, you’re going to be looking stunning, and feeling good too, during any time of the year. With proper hair care, you won’t have a care in the world! So enjoy!